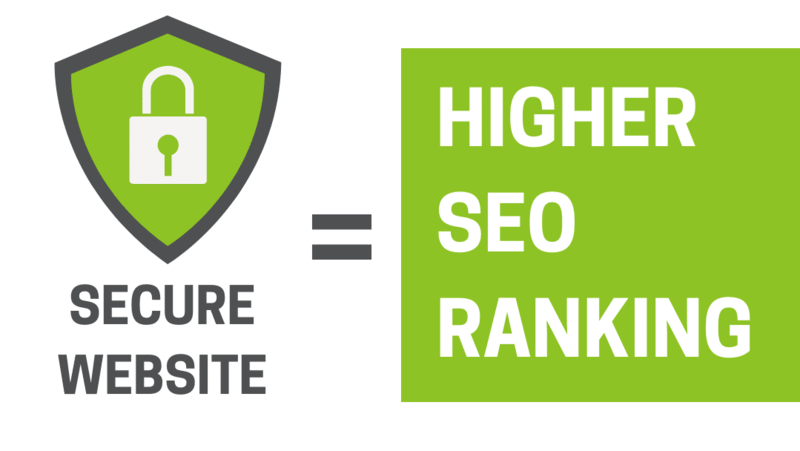 Not Having A Secure Website Affects Your SEO Ranking. Security is critically important to Google as they’ve seen a large number of legitimate websites being hacked. Everyday cyber-criminals hack thousands of websites. The biggest problem is that these hacks are often invisible to you and your website visitors. But they are extremely harmful. As of July 2018, Google Chrome’s browser is marking all websites that are not secured. When you load a website over plain HTTP, your connection to the site is not encrypted. This means anyone on the network can look at any information going back and forth, or even modify the contents of the site before it gets to you. Read more about it in Google’s blog. You don’t want to risk the chance of information leaking from your site causing this type of damage. Now you see why having an unsecured website will affect your SEO ranking. Google aims to keep all of their users safe, and it will show secure websites first. When your customers come to your website they will look for the lock icon with the words “Secure” next to it, or “S” following “HTTP”. To your customers, it will look like this “HTTPS”. The “S” stands for SECURE. Internet shoppers have grown savvy and know to look for this little mark. Don’t think they are not looking for the little “S”. To get the security stamp you must go through a validation process to acquire the SSL Certificate. In addition, you must maintain your website secure. That’s why you should invest on website maintenance services. Google believes in a more secure internet and encourage all website owners to switch from HTTP to HTTPS to keep everyone safe on the web. Since security is a top priority for Google, HTTPS is now a ranking factor. We [Google] have been running tests taking into account whether sites use secure, encrypted connections as a signal in our search ranking algorithms. We’ve seen positive results, so we’re starting to use HTTPS as a ranking signal. Read more about it in Google’s blog. Google launched a program in 2017 that if a website shows an SSL Certificate through the validation HTTPS, it will give a company a search engine ranking boost. Besides, this is one of the easiest and most beneficial ways to get higher search engine rankings without paying for it! Yes, that’s right. A website that is secure will load faster and smoother. If your website is not secure, it means it is unencrypted. In other words, insecure and untrustworthy. Since all browsers promote secure websites, they don’t communicate well with insecure sites, making them load slower or blocking them and showing an alert instead. All encrypted websites, meaning secure and trustworthy, communicate at ease with all browsers, making it load way faster than insecure sites. Sadly, having an SSL certificate is not enough to make your website secure. There are other factors that come into play. You can test its security level and configuration with Google’s Qualys Lab tool. The first step is to make your website secure. Here are 8 steps to make your site secure. Then it’s very important to run Daily Backups and Restore files. Website maintenance is time consuming, so check our Website Maintenance Packages to make your life easier. To learn more about solid customized website security strategies that can help you improve the reputation of your website and make more sales, comment below and we’ll be happy to answer all of your questions! We hope to see more websites using HTTPS in the future. Let’s all make the web more secure! – Google.